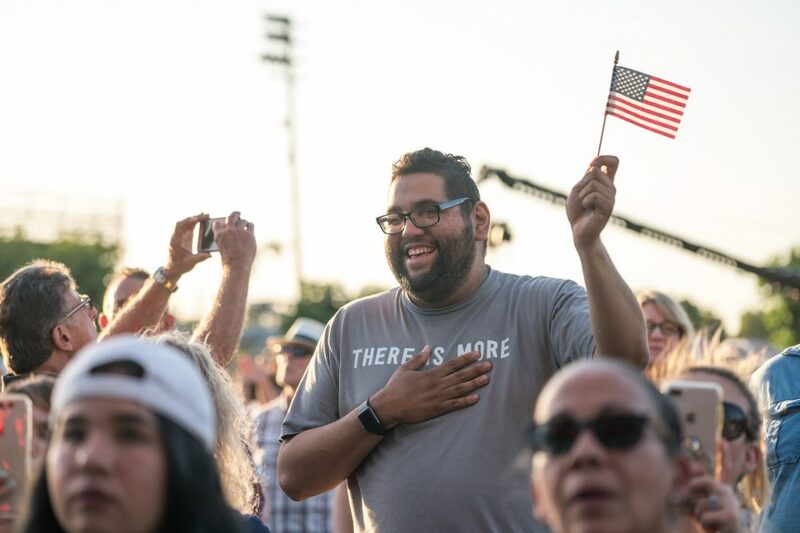 The crowd warmed up its vocals before the start of Tuesday's Decision America California Tour stop by singing "God Bless America" with Dennis Agajanian. 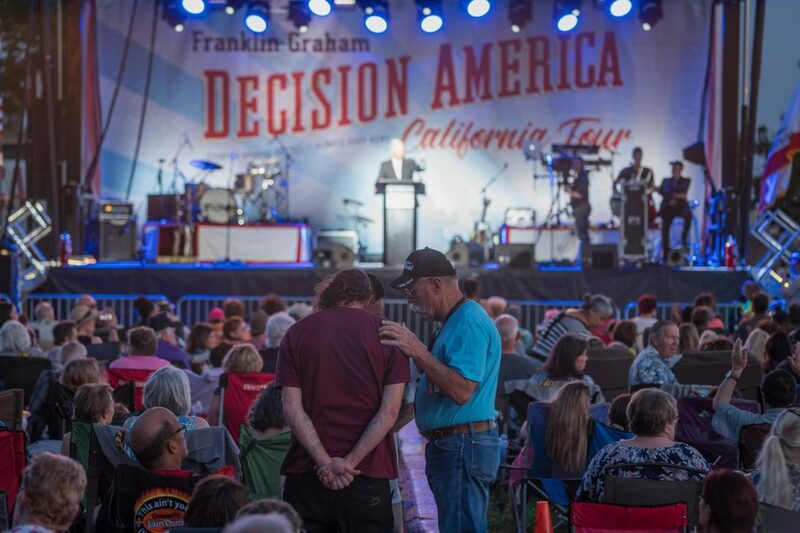 Franklin Graham shared a message of God’s love during the sixth stop of the Decision America California Tour that was held Tuesday evening in Modesto. Play ball! 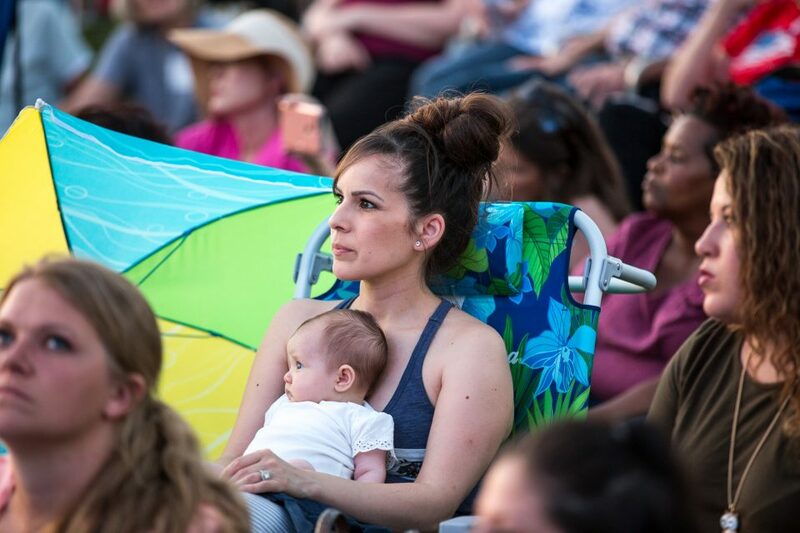 These two had fun in the California sun before the prayer event began. 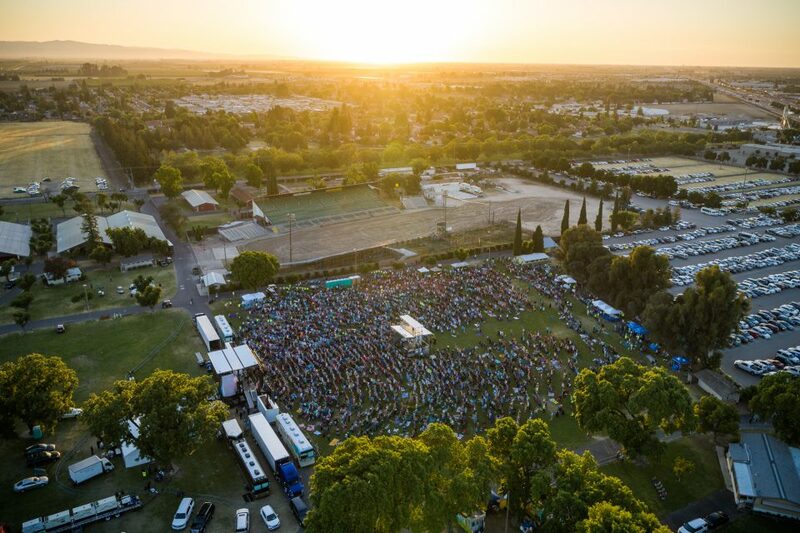 Seven decades ago, Billy Graham’s ministry team drafted its Modesto Manifesto while holding evangelical meetings in Stanislaus County’s largest city. The 1948 team included Cliff Barrows, a native of nearby Ceres, California; Billy Graham, George Beverly Shea and Grady Wilson (not pictured). 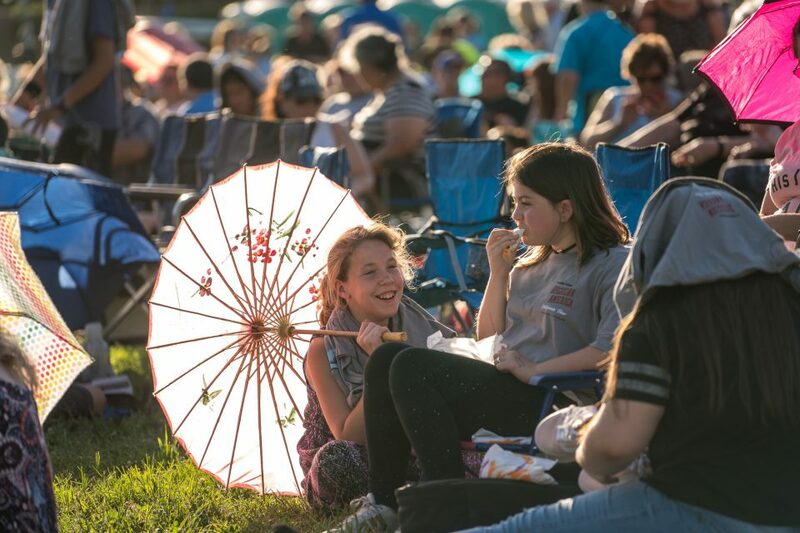 Trees lined the Stanislaus County Fairgrounds, but umbrellas were about the only option for those sitting toward the stage as the sun set on the 85-degree day. 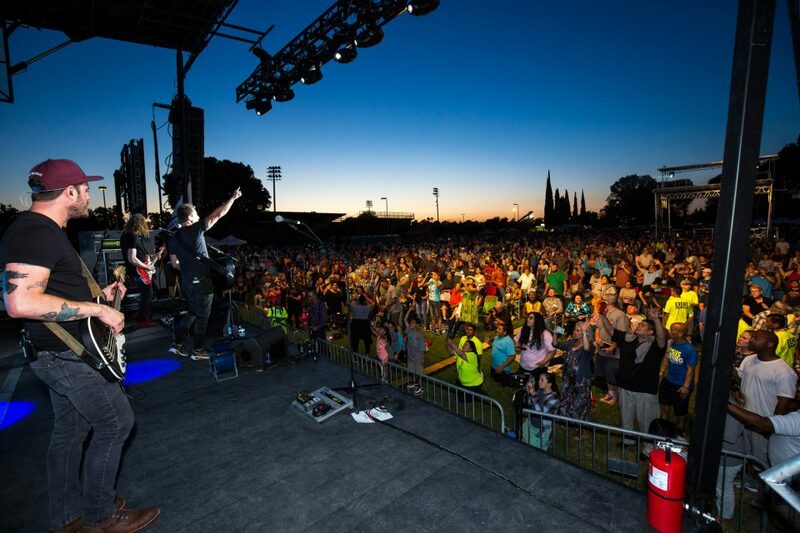 Some 212,000 people call Modesto home, and a significant number from the area crowded into the venue for the evangelistic prayer event. 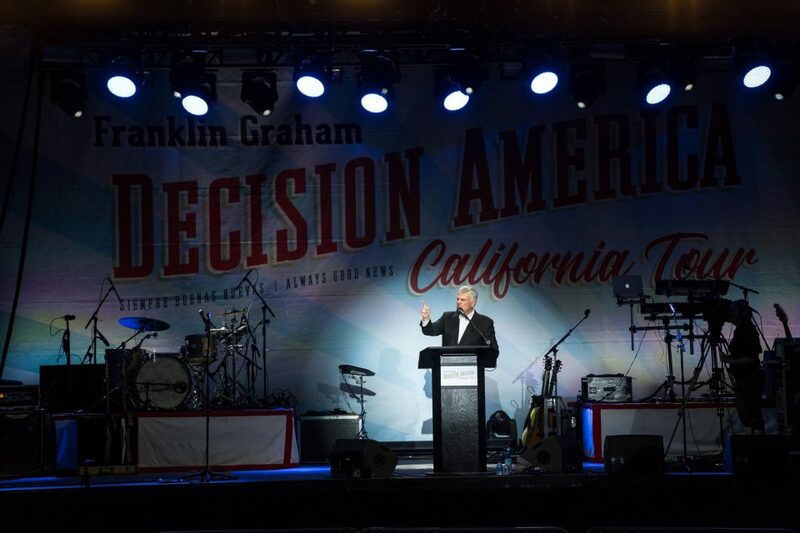 Listening intently as Franklin Graham urges the crowd to pray for its elected officials and support Christian candidates. 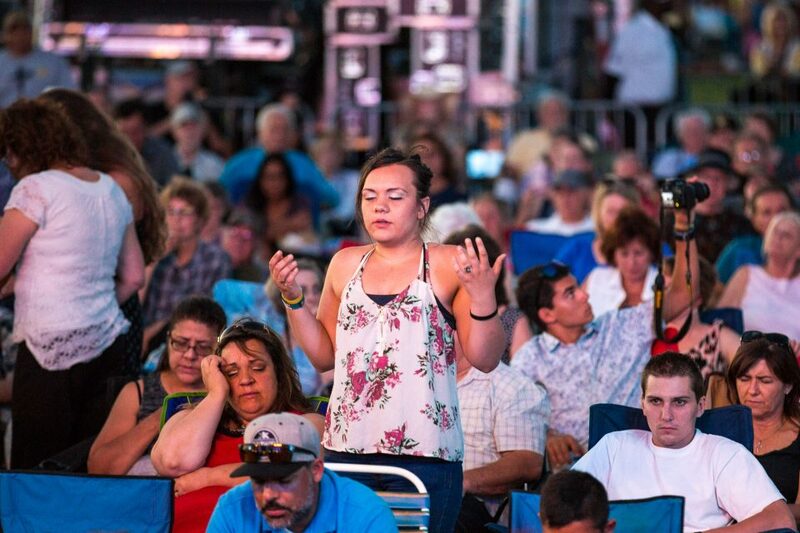 United as one, people joined together to pray for the leaders of the state of California. 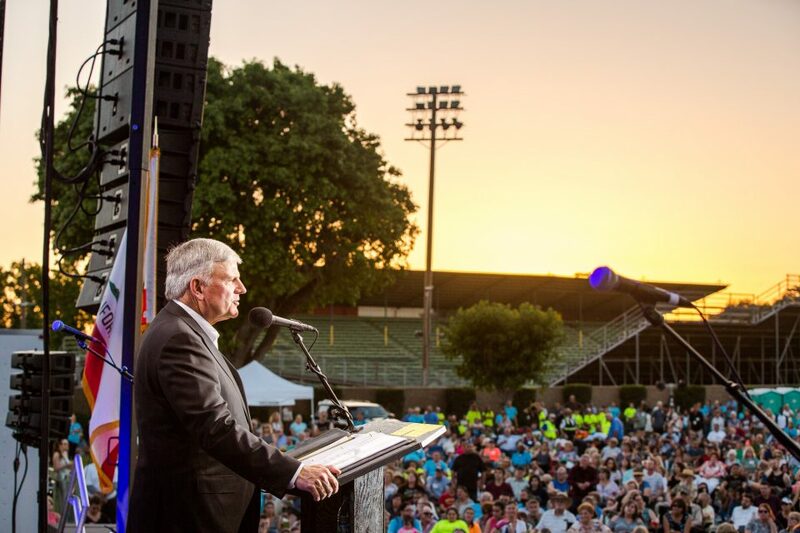 Franklin Graham shared the story of the prodigal son from the Bible, encouraging the crowd, “God loves you. He’s willing to welcome you home. 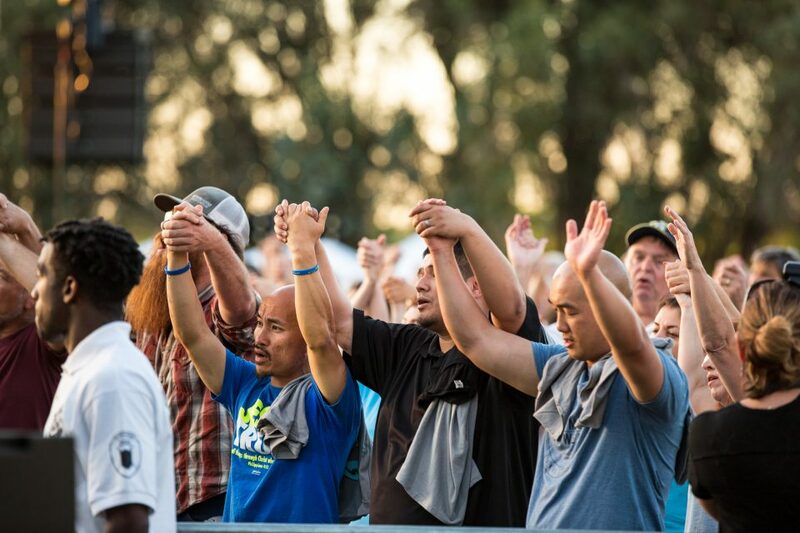 He wants to put His arms around you.” Are you ready to come home to your Heavenly Father? 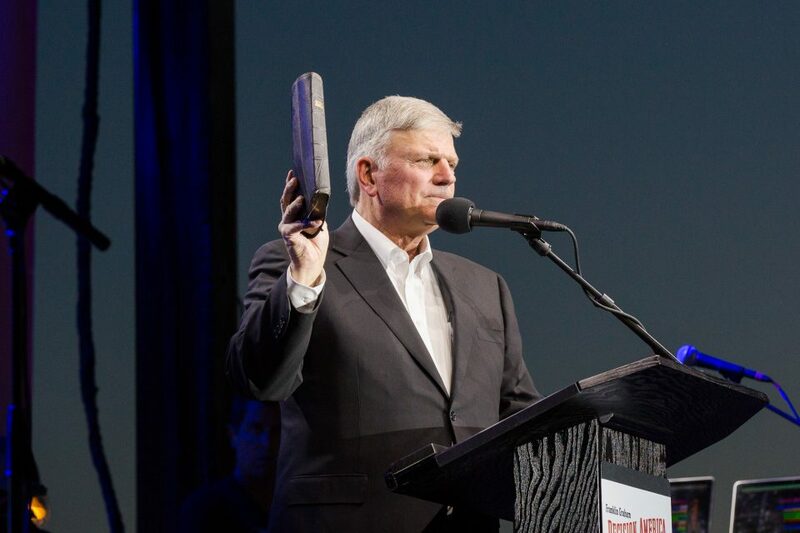 Franklin Graham held a time of prayer for those wanting to turn to God. 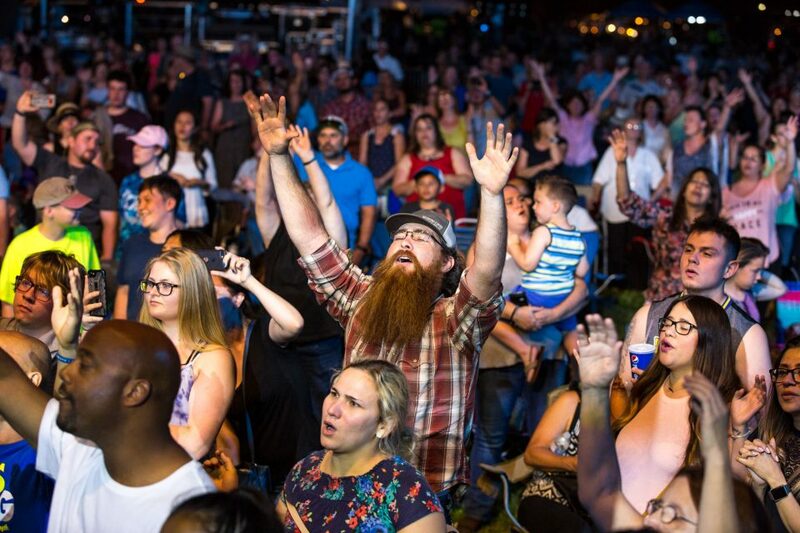 Afterward, he asked anybody who prayed to take a stand for Jesus. 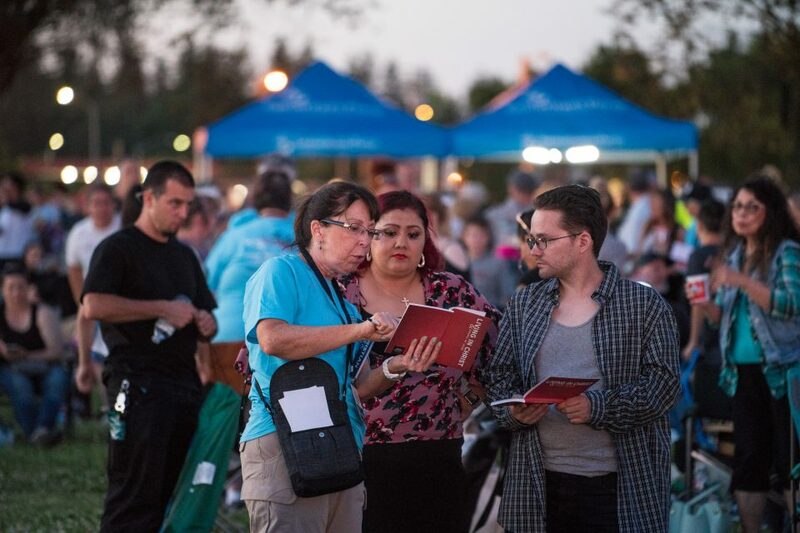 Those who stood were greeted by a prayer volunteer and given literature to take home. 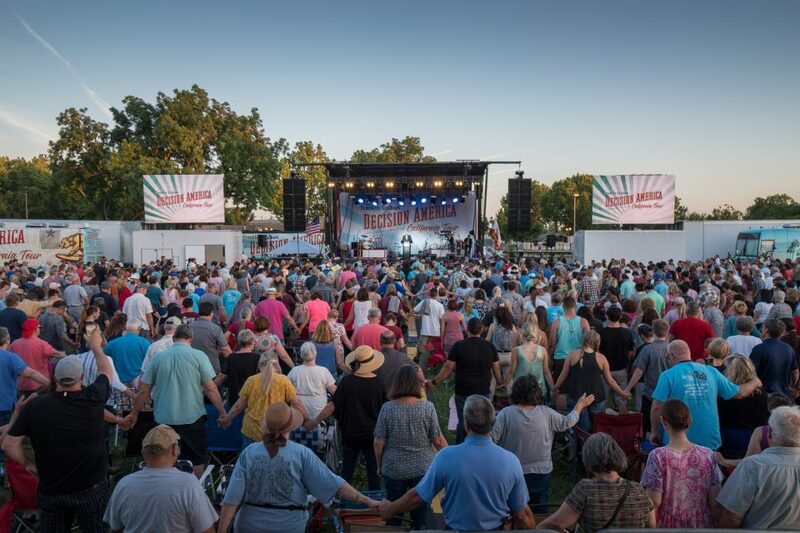 Volunteers offered to pray with people of all ages. God’s Word declares, “When the righteous cry for help, the Lord hears and delivers them out of all their troubles” (Psalm 34:17). 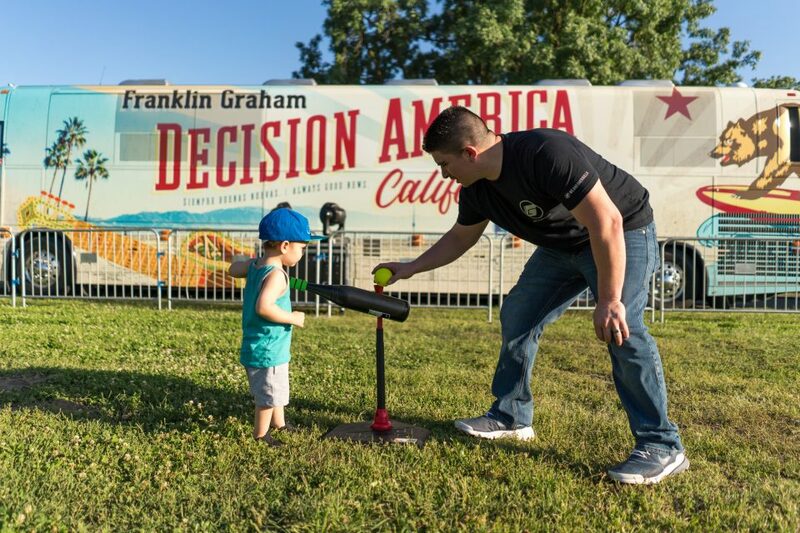 Thousands have attended the first six stops of the Decision America California Tour, which will take a day off Wednesday before heading to Santa Clara on Thursday. 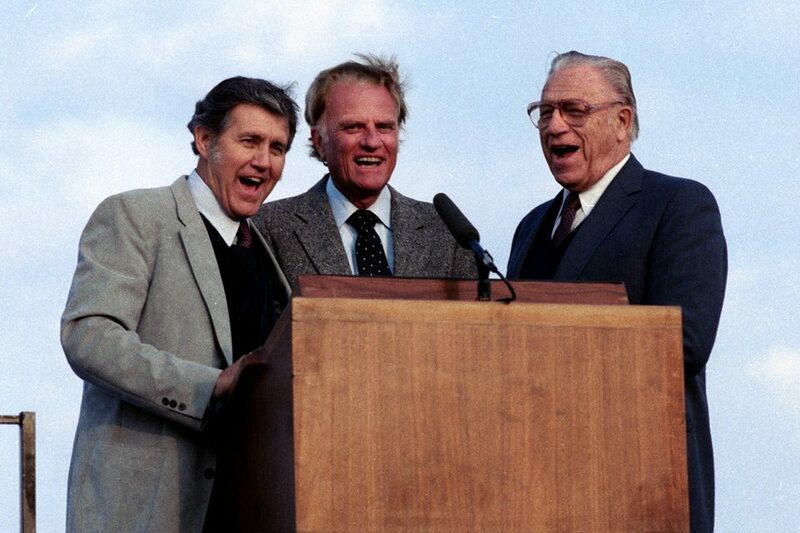 Spend some time today listening to SiriusXM’s Billy Graham Channel. The pop-up channel, SiriusXM Channel 145, is available from now until June 14.